With MSI quality represents a total commitment, and that commitment can be seen in every casting and forging we produce. Our quality control processes have enabled our customers to reduce or eliminate costly incoming inspections. 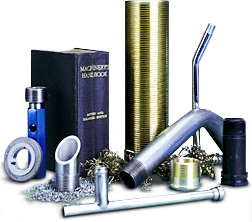 In a relatively short time, your production parts can be manufactured to meet your exact specifications. From the prototype to production MSI stands ready to meet your needs.